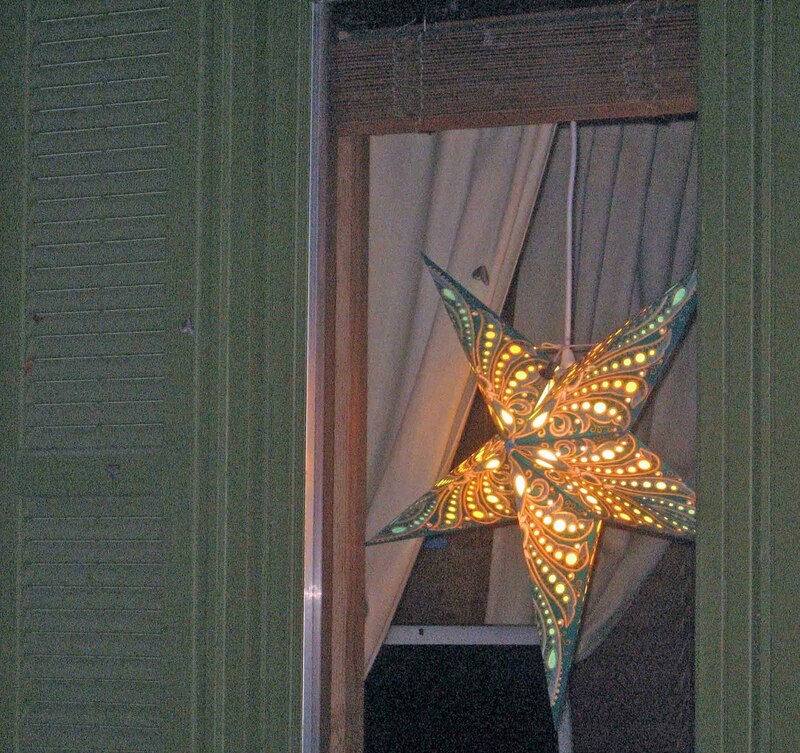 I recently hung a star in my window. I love the elaborate design, which is made of colored paper. This is my THIRD attempt. The first light was a red star that I displayed in the living room window at Christmas. My twin daughters were about 1-1/2 years old at the time, and I didn't think they could reach it. I thought wrong. They had that star pulled down and shredded into a million pieces before you could say Santa's Your Uncle. My second try was a beautiful purple star that I hung when the twins were three years old. I was confident in my training of my toddlers. Surely they would obey my orders to NOT TOUCH. One day I walked into the living room to a bare window; the hanging star was gone! I asked my precious angels what they had done. They looked at me silently, feigning innocence. I later found the purple star ripped in half and stuffed under the loveseat. This time around I've hung a bluish-green and yellow star in the guest room, where I can lock the door. We'll see how long it lasts. This is so pretty. I so hope it lasts a really long time. Was that a state fair purchase? It's beautiful. That star is beautiful. I hope it has a much longer life than its predecessors. It's so pretty that I hope it lasts and lasts and lasts! Hahaha! Oh dear. It's gorgeous and I hope it lasts longer than the others! Trees, Leaves, and Sky, Oh My! Change is a Good Thing. Right? RIGHT? !